Mr. “Dustoftheuniverse” had serious fun with our light high end intermediate CUMEO. After the beautiful Chili 4 XS, here’s the light version called Cumeo. After test flying many wings I’m now more and more convinced that even with the same glider technical details, gliders with lighter materials, will have different feel with sometimes enhanced performance or sometimes much less ! I’m no engineer to debate on that, but i’m positively sure and the reality of things is well shown. In the following review, the Cumeo will show its true identity. I flew the Cumeo from 90 to 95. In strong conditions, 93, 95 would be superb. At 90 all up if flies beautifully in moderate conditions. Flying the Cumeo at 95, I could strongly confirm that it’s still a floater! In very weak conditions, the Cumeo even loaded does real catch those tiny lifts. At 90, it’s a thermal beast! Even in wider conditions, the Cumeo still pushes forward entering those cores with ease and a smoothness feel. I flew the Cumeo XS next to the Mentor 5 S, Chili 4 XS, Iota 2 25, to conclude after many glide comparisons “and it took me a while”… That the Cumeo is definitely among the best ones in that matter especially if I want to consider top end speed glide ! In fact IMHO, it sits right on ‘top’ next to the glide contenders if going in a speed chase. Doing some glides in turbulent air, the Cumeo seems also very efficient, and probably slightly more than a Chili 4 XS (slight margin) May be because it doesn’t have the pitch behavior of it’s ‘regular cloth’ sister. The Cumeo has a slightly increased top speed above the Chili 4 XS if both are fully loaded. Big ears are very stable. Much better than the Chili 4 XS. They reopen quickly. Landing in narrow zones is one of the Cumeo strong points. It can be slowed quite well. Yep…It’s a positive test…The Cumeo XS deserved it very well…It is very obvious that if a glider is relatively easy for a high B, loaded with top end performance characteristics, light to carry, handles like a dream, soft in reactions, a highly balanced B glider, and can get you efficiently on any XC would not be highly recommended. It is ! 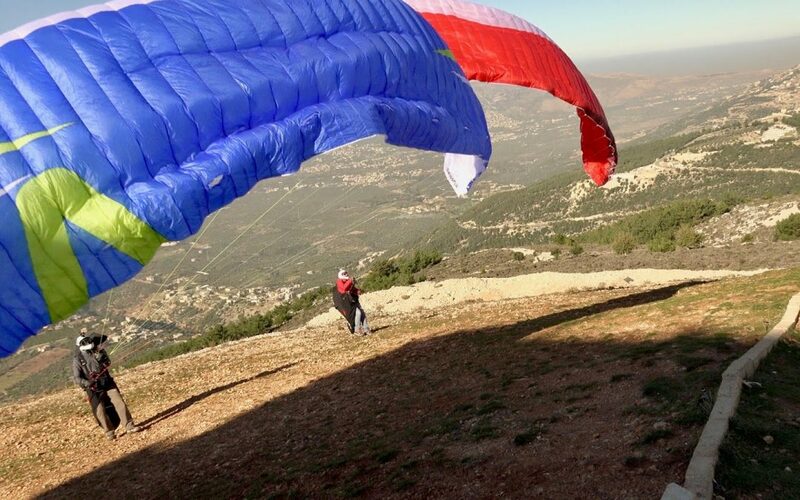 In today’s market, there are very nice high B gliders from different manufacturers. The top 3-4 holds a very close and sometimes insignificant difference in overall performance. But what differs is the feeling, satisfaction, and the sensations you get when you are flying a special one. I’m sure, the Cumeo will be among those ! Ps: I always mention that other sizes could be similar and sometimes could be different. Please respect the loads under any glider. A glider flown at mid weight or less will (surely) have other feeling and results. IMHO, I think that loading a glider beyond 75 % of its weight range will make you a pilot rather than a passenger.